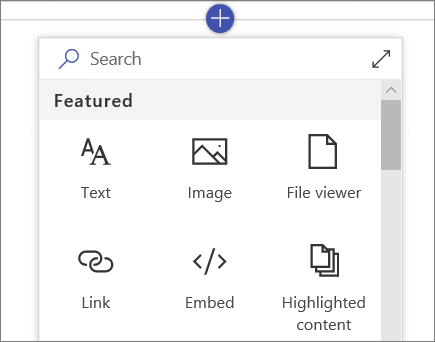 Select + Create site on the SharePoint homepage. Select whether you'd like to create a Team site or a Communication site. Enter the title (and a description, if you want) for the site. You can select Edit and then edit the group email name, if you want. Select whether the group will be public or private. Choose a sensitivity level for your site information. Select a default language for your site and then click Next. In the next pane, enter the owners and members. 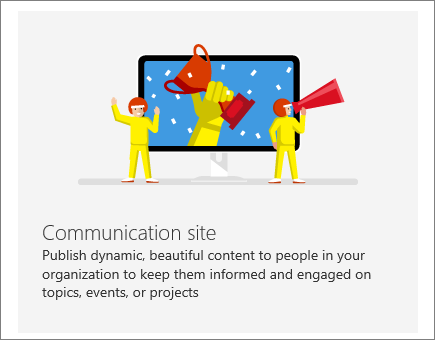 A modern SharePoint Online site is provisioned and ready for use in seconds. 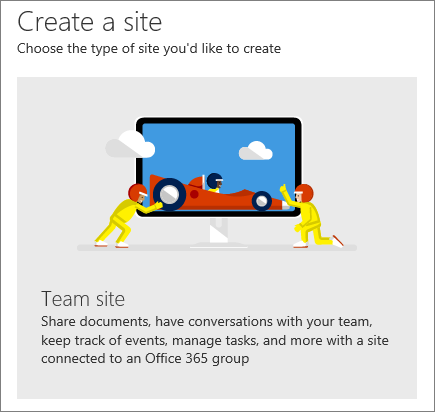 If you selected a team site, an Office 365 Group is also created. Open the site that you want to add the list or library to. 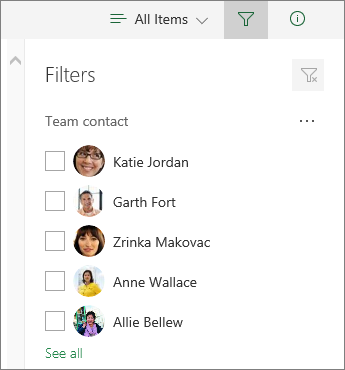 Select List or Document library. Type a name for the list or library (and a description, if you want). Go to a list or library that you want to filter. Select Open the filters pane . 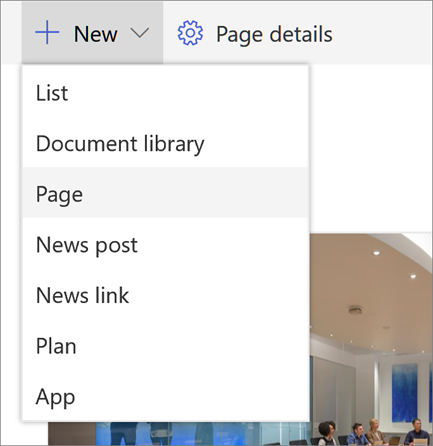 Select how you want to filter your list or library from the options available. Open the site that you want to add a page to. Type the name of your page. You can publish your page now, or use web parts to add text, images, and other content. Select Publish when you're ready. 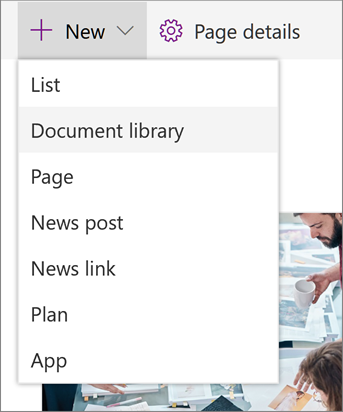 In your news post or page, select the plus sign . When you have added all the web parts that you want, select Publish.